Often referred to as the crown jewel of the city - The Hamilton Building has long been one of the most prestigious and iconic landmarks in Downtown Wichita Falls. Although meticulously maintained to preserve it's historic appearance, The Hamilton Building is modern in every way. 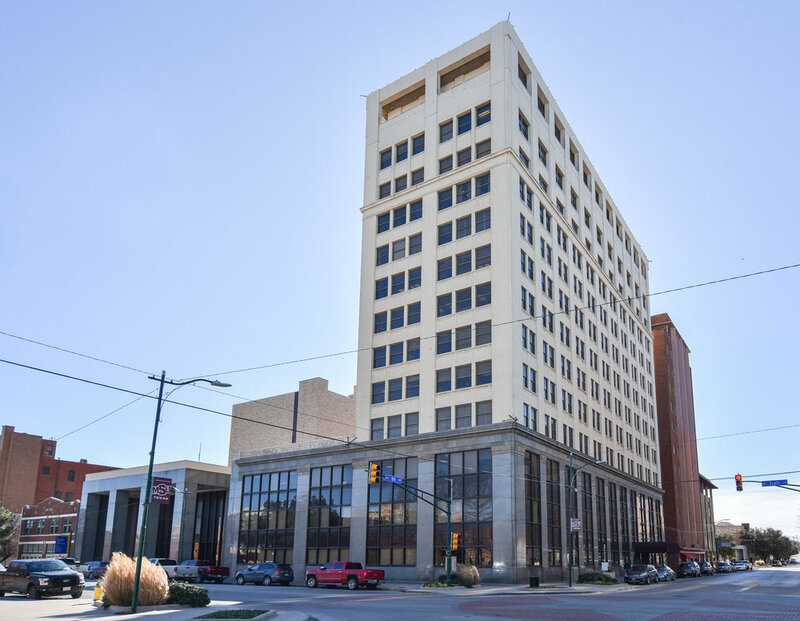 The City National Building is a high-rise located in the heart of the downtown Wichita Falls business district. The building's architecture is highlighted by the beautiful three-story marble exterior with tinted windows. This thirteen-story office complex is considered to be one of the premier professional buildings in Wichita Falls. The Oil & Gas Building is a high-rise located in the downtown Wichita Falls business district. Home to one of our two Executive Suites, the beautiful red brick exterior makes it a landmark in the downtown area. Enjoy the view from all directions in this 12-story building located near Eighth and Lamar. The Energy Center Building is a class "A" multi-functional office building located in the Wichita Falls business district. Standing eight stories tall with a five-story atrium - this one of a kind building is home to one of our two Executive Suites. Tenants who choose to take advantage of our Executive Suite are provided with a receptionist, kitchenette, fax machine and other amenities - all included in their low monthly rent. Chelsea Plaza is situated on the corner of Eighth and Lamar in the Wichita Falls downtown business district, making it a very desirable location. The landscaped courtyard and large windows add to its distinctive features. and much more - all included in their low monthly rent.